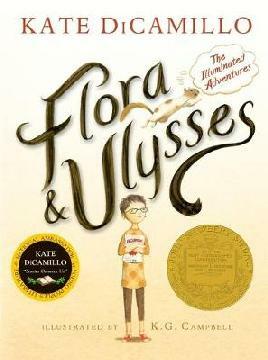 “Flora & Ulysses: The Illuminated Adventures,” written by Kate DiCamillo. Four Newbery Honor Books also were named: “Doll Bones,” written by Holly Black; “The Year of Billy Miller,” written by Kevin Henkes; “One Came Home,” written by Amy Timberlake; and “Paperboy,” written by Vince Vawter. “Locomotive,” by Brian Floca and illustrated by Brian Floca. Three Caldecott Honor Books also were named: “Journey,” written and illustrated by Aaron Becker; “Flora and the Flamingo,” written and illustrated by Molly Idle; and “Mr. Wuffles!” written and illustrated by David Wiesner. “Midwinterblood,” written by Marcus Sedgwick, is the 2014 Printz Award winner. Four Printz Honor Books also were named: “Eleanor & Park,” written by Rainbow Rowell; “Kingdom of Little Wounds,” written by Susann Cokal; “Maggot Moon,” written by Sally Gardner, illustrated by Julian Crouch; and “Navigating Early,” written by Clare Vanderpool. Brian Selznick will deliver the 2015 lecture. Author and illustrator Brian Selznick graduated from Rhode Island School of Design intending to be a set designer for the theater, but a stint at Eeyore’s children’s bookstore in New York City changed his mind and his first book was published while working there. He left to pursue a full-time career in children’s book illustration, but he still designs theater sets and is a professional puppeteer. Among his award-winning works are illustrations for two Sibert Honor Books and a Caldecott Honor Book. His groundbreaking “The Invention of Hugo Cabret” was awarded the 2008 Caldecott Medal. “Parrots over Puerto Rico,” written by Susan L. Roth and Cindy Trumbore, and illustrated by Susan L. Roth, is the Sibert Award winner. Four Sibert Honor Books were named: “A Splash of Red: The Life and Art of Horace Pippin,” written by Jen Bryant, illustrated by Melissa Sweet; “Look Up! Bird-Watching in Your Own Backyard,” written and illustrated by Annette LeBlanc Cate; “Locomotive,” written and illustrated by Brian Floca; and “The Mad Potter: George E. Ohr, Eccentric Genius,” written by Jan Greenberg and Sandra Jordan. 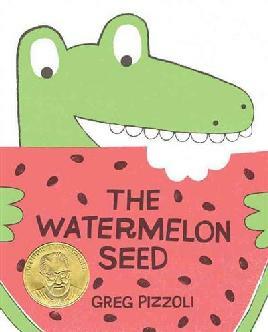 “The Watermelon Seed,” written and illustrated by Greg Pizzoli, is the Geisel Award winner. Three Geisel Honor Books were named: “Ball,” written and illustrated by Mary Sullivan; “A Big Guy Took My Ball!” written and illustrated by Mo Willems ; and “Penny and Her Marble,” written and illustrated by Kevin Henkes. “The Nazi Hunters: How a Team of Spies and Survivors Captured the World’s Most Notorious Nazi,” written by Neal Bascomb, is the 2014 Excellence winner. Four other books were finalists for the award: “Go: A Kidd’s Guide to Graphic Design,” written by Chip Kidd ; “Imprisoned: The Betrayal of Japanese Americans During World War II,” written by Martin W. Sandler; “Courage Has No Color: The True Story of the Triple Nickles, America’s First Black Paratroopers,” written by Tanya Lee Stone; and “The President Has Been Shot! The Assassination of John F. Kennedy,” written by James L. Swanson. For the full list of ALA award winners you can read the press release on the ALA website.